Cooking, for those of us who enjoy it, is a multi-sensual experience. Deglon have created a set of knives to enhance this experience. On the one hand the slick look and elegant way they sit one within the other have the effect of looking at a jewel, on the other hand the precision of the stainless steel gives the confidence required of a “working tool” – the result being you immediately want to try them out. 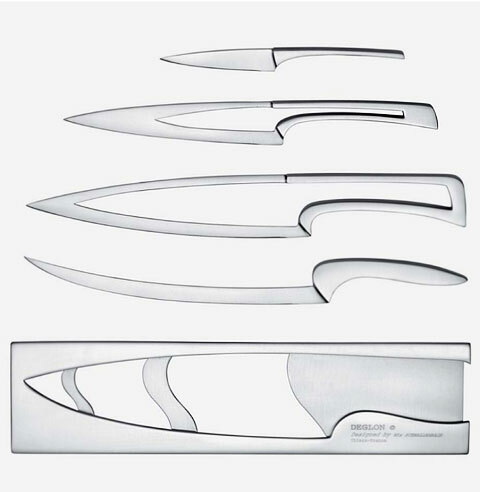 The Deglon Meeting Knife Set comes with a paring knife, carving knife, 15cm utility knife, and a 20cm chef’s knife. 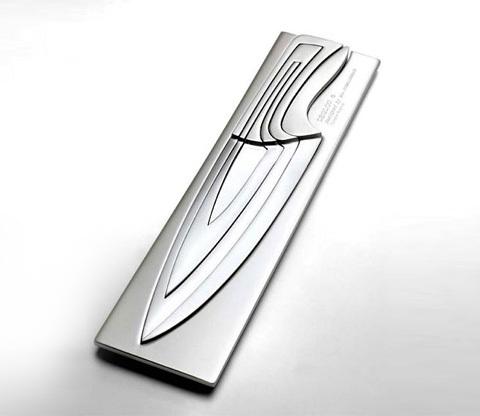 Designed by Mia Schmallenbach and awarded first prize at the famed European Cutlery Design Awards. What is the price for the beautiful multi kitchen knives? 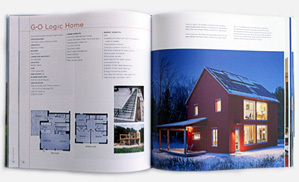 Do you have any agent in Norway?